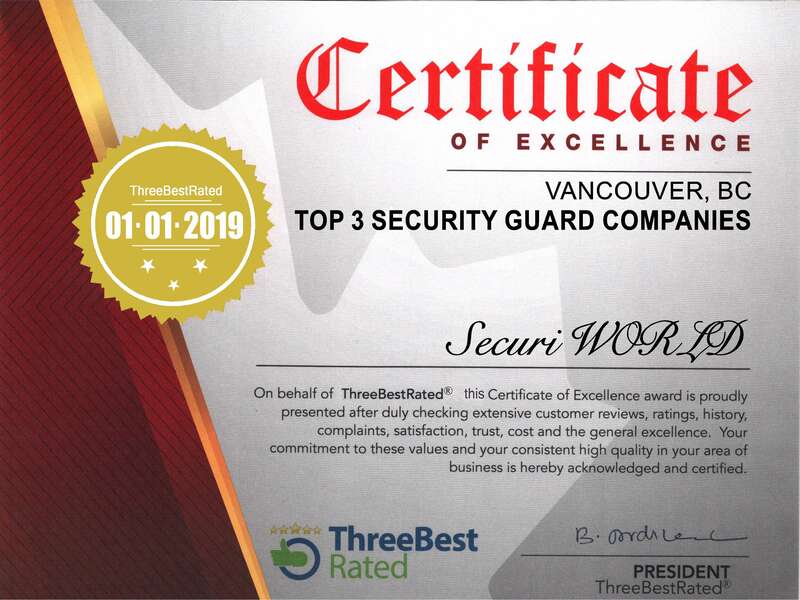 SecuriWORLD is proud to provide security guard service for biggest construction projects in Vancouver, Burnaby, Langley, Coquitlam, Richmond and More,. Goal is to ensure that there is no trespassers or locking and unlock property or sites, as well as doing a report on scheduled monitoring. The security solution we provide is mobile patrol and foot patrol. Safety is everything. Having flashlights to checked areas. To ensure proper security for the job that is being required. When and if unsure if you have doubts, Please feel free to contact the SecuriWORLD for more information. Knowing your site will help you to get the right Security Guard. How many Guard(s) needed for the project. And the times needed for , and how long the contract will be. SecuriWORLD is here to help with your service and needs. Goal is to prevent theft or Vandalism among other minute to minute tasks. If the construction workers left valuables it will be most likely this one. As a solution SecuriWORLD provide a security guard patrolling and scanning around the areas where the valuable items are and patrolling where could be preached in the fence or gates. Safety is important. Having any kind of lights, like flashlights, overhead construction lights. The more the area is lit, the better chance of getting vandalized or broken into. Equipment and Fire watch. Everything included in Medium Level. Danger Areas/ Fenced Areas. To ensure proper security for the job that is being required. Please feel free to contact SecuriWORLD for more information. Knowing your site will help you to get the right Security Guard. How many Guard(s) needed for the project, and the times needed for, and how long the duration of the security coverage will be. Goal is to stop the thieves from break in in High Crime Areas or if your construction site is targeted. That will require a security guard in a consistent patrol or a guard as well as cameras, so the security guard can watch the cameras between the patrols to ensure superior security service for the job site when that is being required. When and if unsure if you have doubts, Please feel free to contact the SecuriWORLD for more information. SecuriWORLD is a Security guard company that has high standards making sure they assist in serving the best experience you. SecuriWORLD provides a variety of security services in the Vancouver, Burnaby, Coquitlam, Richmond and Surrey. To discover more about Canada’s top managed security firm. Please call the toll free number that has been provided 1-888-613-1500 and request a free quote today. We are a growing company that takes pride in the business of being successful. Our team will be proud to assist your security needs and security guard services.